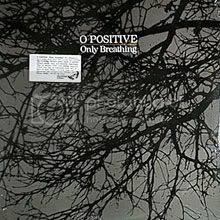 After reading Nick's recent post about those early albums that inspired him and some of the great posts by RSL fave Forgotten Disc Fridays, I decided it was time to break out the oldest in my collection, O Positive's "Only Breathing". This was put out by one of my favorite record label names ever, Throbbing Lobster. O Positive is a Boston-based band that broke up back in 95'. They have gotten together only three times since then for benefit concerts. Such as, to my chagrin, a show they played just a few weeks back on August 7th, which I missed. It was the summer of 86' and my older brother was home from college. He always had a great record collection, especially compared to my sister, who loved disco, which I found so very uncool at that particular moment. Before then, I used to pour through his records and find bands like Rush, Foreigner, ELO and Aerosmith. But suddenly, there were all these new bands I'd never heard of before like REM, Red Hot Chili Peppers, Dumptruck, Hoodoo Gurus and Hunters & Collectors. It was the end of mainstream music for me - and the dawn of a new day. Only Breathing was a fascinating album - A deep, atmospheric record, it accomplished this feat without sounding sparse. The bass, drums and guitar were each active and interweaving. The vocals were earnest and intense - something like crack for my teenage emotions. I went out and learned about things like delay, chorus and harmonics that they used to make it all happen. I started my first band not long after. If you're not familiar with O Positive, here's an amusing anecdote to give you a feel for how entrenched they were in the Boston scene at the time. I was playing my first club show ever at The Renovating Room, which is now The Kells. The band and I were talking at some length about how much we loved this album. We were within earshot of a more established band that was clearly wondering what the hell these kids were doing there. The next thing we know these guys go up on stage and the whole band breaks into "With You" for their sound check looking right over at us. Sought After Treasure - This album is one of the few in these days of iTunes, Amazon and eBay that can be considered a "Holy Grail" album. You can't get it on iTunes and there's apparently only one copy available used on Amazon. It actually took me years to find a copy on CD after my original record went missing. 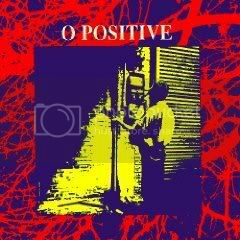 However, as part of my research for this post, I've discovered that O Positive has a Website where you stream much of their material. And, there is an awesome live performance from 1986 when they performed for WESU. Check out some photos and clips from the August 7th, 2009 show here as read some more love for the band on Jay Breitling's page as well. I hope you end up digging O Positive as much as I do. 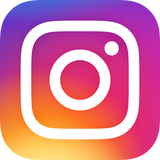 And, if you have some long forgotten favorites, let us know you love by leaving their name in the comments. Nice piece! Thanks for the link, R! Ironically, I have it on CD, but it stopped working years ago. CDs degrade over time, but this is the only one I own that completely died. I just looked at it and can actually see through it and see no evidence of any data on it. O POSITIVE were indeed a great band. They wondered around the U.S. in an old RV touring in support of BREATHING. They passed through Bozeman, Montana where my band got to open for them and I even got to get up with Dave and the boys to sing a Beatles tune with them....GREAT GUYS...down to earth. We spent the night in their RV jammin' on acoustics and pots and pans. Thanks for sharing the story Hiatt. Very cool!